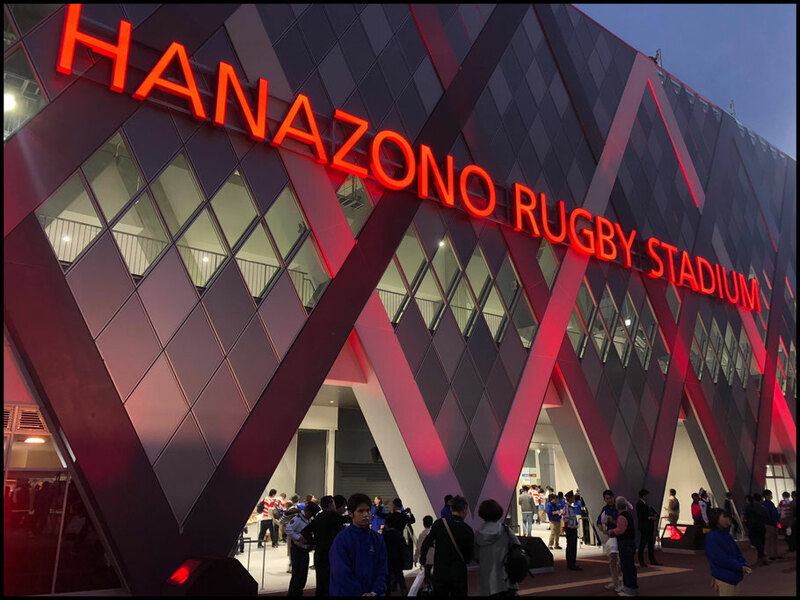 A gleaming new diamond-like facade proudly proclaiming "Hanazono Rugby Stadium" now greets patrons as they head towards the spiritual home of Japanese rugby. Ahead of the World Cup, the oldest dedicated rugby venue in the country has been brought into the 21st century with a new stand, sound system and big screen. 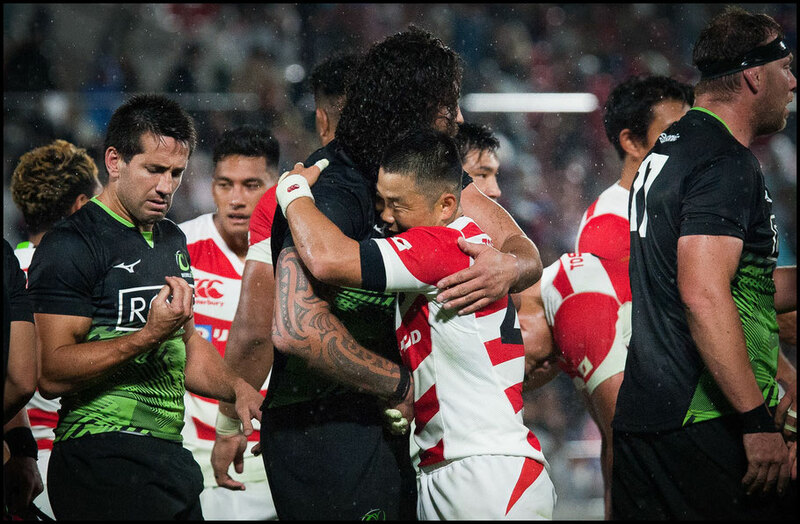 16,846 turned out for the first match in the renovated stadium, with Japan taking on a Robbie Deans coached World XV featuring players like All Blacks Ma'a Nonu and Nehe Milner-Skudder. Organizers tried to generate a party atmosphere, with lights dimmed and loud music pumping for the team entrances. The match itself got off to a slow start,and the opening stanza was marked by scrum trouble, as a World XV unfamiliar with each other struggled to find their rhythm. Japan attacked hard for a sustained period but was held out as All Black Jackson Hemopo led the way with some strong defense. The first attacking chance that the World XV got resulted in a try scored by flyhalf Lionel Cronje. The ball was spread wide and with pace, before moving back infield for Cronje to score under the posts. 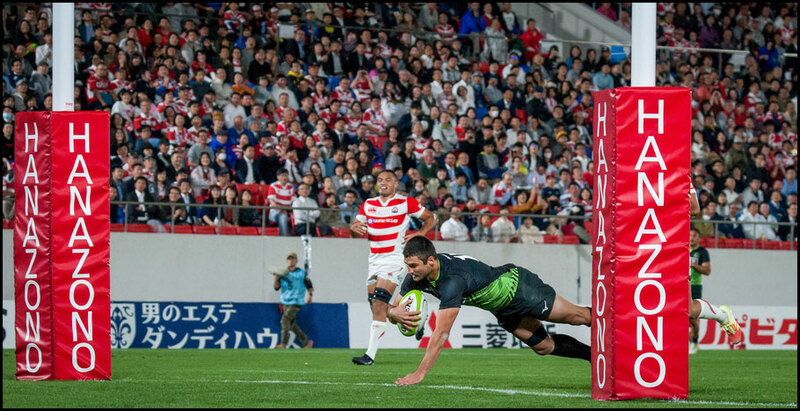 He added his own conversion and 10 minutes of solid attacking by Japan was undone in one fast attacking move by the World XV. Down 12-0 Kenki Fukuoka’s try opened the scoring for Japan but after the restart, the home side gave away a penalty - pulling down in the line out. It was one of several discipline related penalties conceded by Japan - a point not lost on Head Coach Jamie Joseph who highlighted it as one of two points the team would to focus on along with their set-piece work. 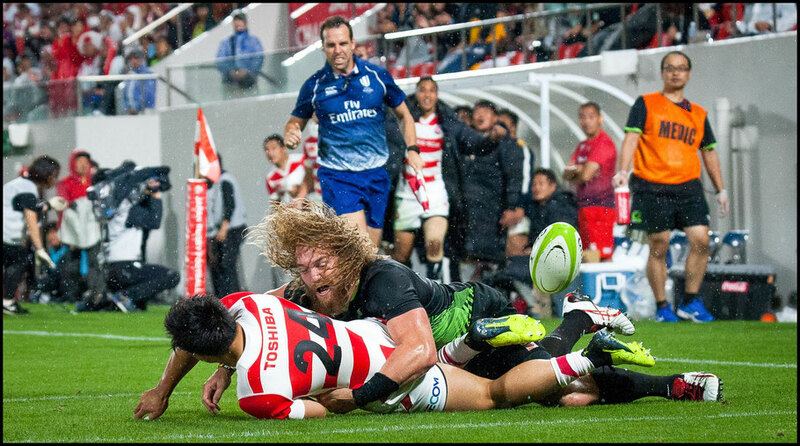 New Zealand referee, Brendon Pickerell, continued to punish various Japanese infractions, which killed their increasingly limited chances. The rain that began to fall, further dampened the spirit of the crowd. The World XV meanwhile continued to play adventurously. A long lineout throw to a charging Ma'a Nonu was symbolic of their attitude, and a fourth try came after further pressure and TMO deliberation, this time awarding a try to Jason Jenkins. The conversion made it 24 -7 at the half. After the restart the World XV picked up right where they left off with a second excellent individual try to Tevita Li. The sideline conversion made it 31-7. More relentless attacking by the World XV seemed to be setting up another try, but suddenly it was 80m the other way, as Japanese center Timothy Lafaele poached an Andy Ellis pass and ran in for an easy try under the posts, that became the turning point in the game. The cliché of rugby being a ‘game of two halves’ was never more apt as the second period became all about the home team. 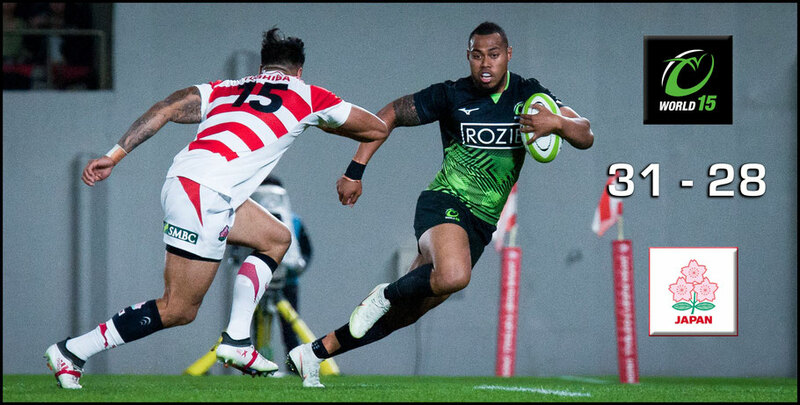 After some desperate World XV defending, a try to wing Lomano Lemeki in the corner and an excellent sideline conversion by Yu Tamura made the score 31-21. Japan had truly come alive and after the restart went straight back to the attacking play that was absent for a significant chunk of the first half. 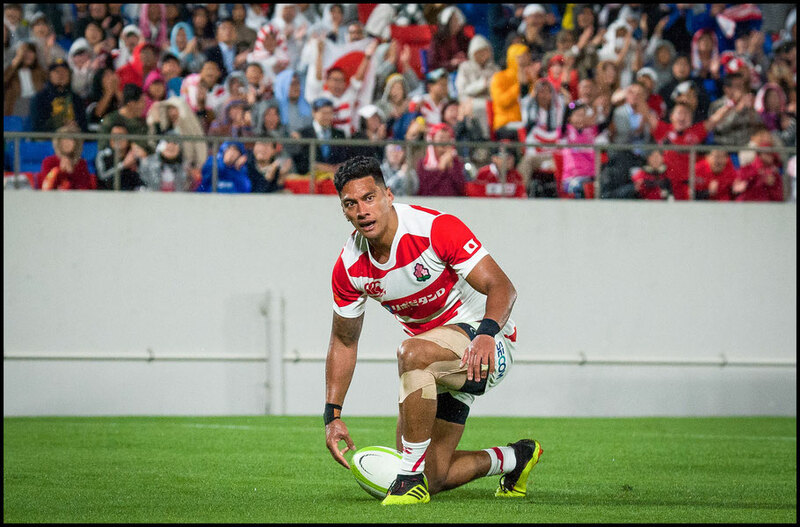 After an 80m counter-attack that came when Jackson Hemopo threw an optimistic pass inside the Japan 22m, Willem Britz dragged down Ryota Nakamura with a brilliant try-saving tackle in the corner. After the match, the World XV captain Andy Ellis was full of praise for Britz saying "that tackle summed it up I reckon, the boys really cared about the game, they are proud men." Japan continued to put pressure on inside the 22m. Rikiya Matsuda put a grubber kick into the in-goal area, and Nakamura made up for his missed opportunity earlier just managing to get the ball down before the dead ball line. 31-28 with six minutes to go, the crowd was invigorated, ignoring the rain and chanting "Nippon!" Japan had a line out and lost the throw, but recovered the ball from scrappy play. 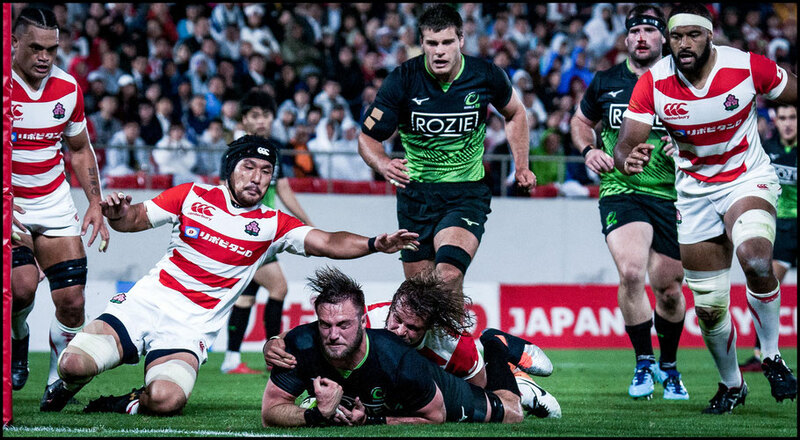 The final hooter went as the last scrum was set, the World XV defended desperately, the Japan team charging head first into every tackle, the crowd were on their feet. Multiple phases and then, just like that, it was all over -number 8 Hendrik Tui knocked the ball on and lay face down in the grass sensing the gravity of his mistake. A great come back by Japan, but not enough. 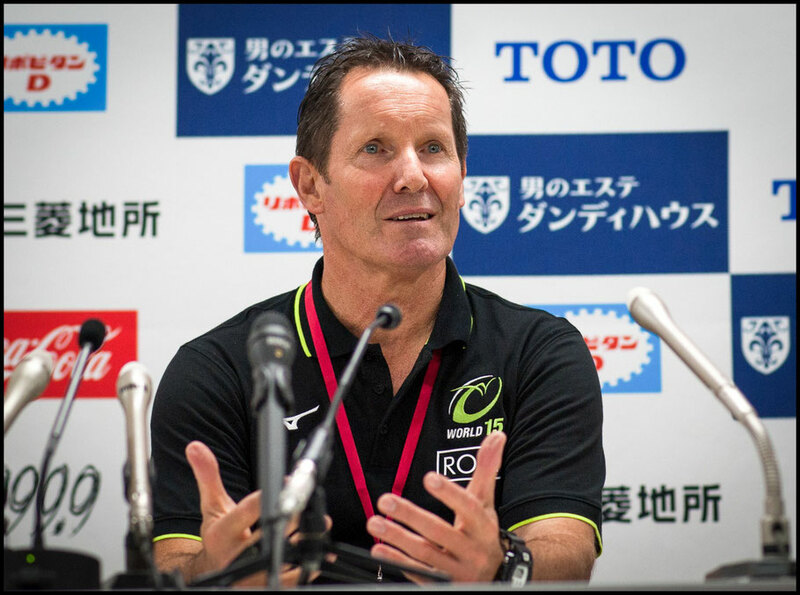 World XV coach Robbie Deans summed up the game as "a remarkable encounter" against a well prepared Japan team with his own team playing well after very limited preparation he said " the mind was willingand the skills were there; there was real spirit in the group. He added, "the purpose of the game was preparation for Japan, to give them a good work out." Japan coach Jamie Joseph reminded everyone that his own team had just gotten together after being released by their respective Top League sides, and still needed time to gel. Both he and captain Michael Leitch spoke of pride over the team lack of quit and ability to fight its way back into the game.